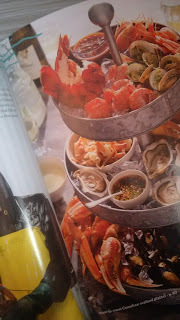 The issue features amazing (although not necessarily frugal) entertaining ideas like how to put together a beautiful seafood platter, planning ideas for a summer pool party, and an amazingly versatile strawberry cake recipe. If you are a Canadian food lover, I would say this issue is a must-read. You can visit Ricardo's website by clicking here. 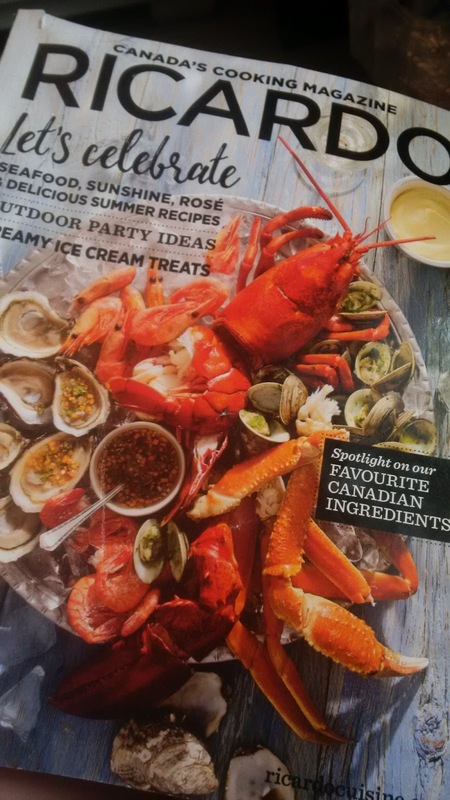 If you are looking for a more frugal (Read: #moneysavingtips) option, you can pick up a FREE copy of the summer issue of Foodland Inspired at your local Foodland. But you don't even have to go to the store, you can access a Free online version of the magazine by clicking here. 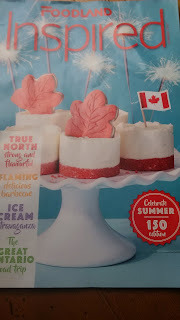 Like the current issue of Ricardo, this issue of Inspired focuses on Canada's upcoming birthday celebration and has loads of great recipes for your summer parties. Recipes include: No Bake Cheesecakes (pictured on the cover), Nanaimo Coffee Crisp Cake (um, yes please!! ), Spice Rubs, Apple Coleslaw, and more. 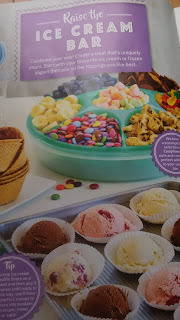 It also features entertaining ideas, including a Ice Cream Bar spread that I found particularly well done. 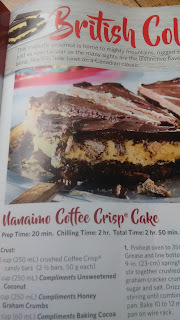 What makes this issue really great is the wide variety of recipes. Check it out - it's free!!!!! 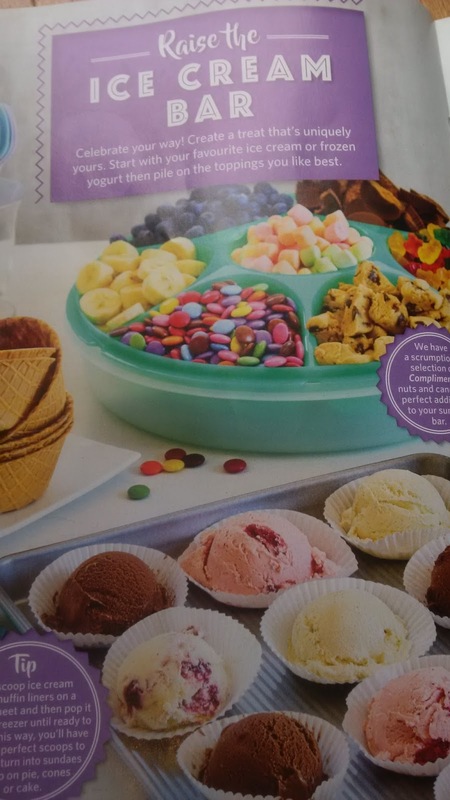 This is an idea I wish I had thought of! Read the magazine to learn more. If you have never tried Nanaimo Bars (a Canadian specialty), you will want to try this recipe -but you might have to ask a Canadian friend to send you some Coffee Crisps in the mail! Check out these two great reads, and get started on your summer party planning!